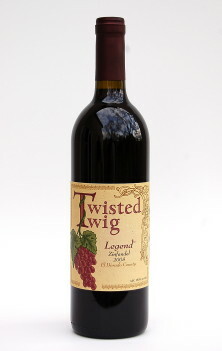 Sommelier Quality ®is a registered trademark of Twisted Twig Winery Corporation. We vinified the 2012 Viognier in an old fashioned style that is typically used for red wines, to bring out the richness of the fruit. We let the fruit hang and ripen until the flavors were intense and at perfection. When we crushed, the skins and seeds were allowed to stay in contact with the juice, while cold soaking for three days. Special yeast was selected to bring out the tropical fruit flavors of the Viognier grape. We then fermented on the skins in small fermentation bins for fourteen days and allowed the complexity to evolve. The caps were hand punched twice a day with vigorous agitation. Because of the tannin structure this wine will lie down and age nicely, softening and getting better each year. The 2012 Viognier will pair with foods with a rich texture, particularly seafood dishes like lobster, crab and muscles. 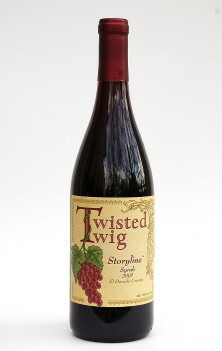 Being such an exotic wine, it naturally pairs well with exotic foods, especially curried dishes. Thai, Indian, Malaysian and even Caribbean curried dishes are excellent with this wine and a Massaged Kale with Mango salad. Very Nice Viognier. Tropical fruit flavors. Big bold white wine. Very Unique. 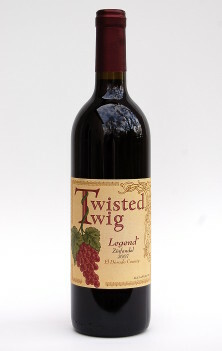 Sommelier Quality ® is a registered trademark of Twisted Twig Winery Corporation. We vinified the 2012 Viognier in an old fashioned style that is typically used for red wines, to bring out the richness of the fruit. We let the fruit hang and ripen until the flavors were intense and at perfection. When we crushed, the skins and seeds were allowed to stay in contact with the juice, while cold soaking for three days. Special yeast was selected to bring out the tropical fruit flavors of the Viognier grape. We then fermented on the skins in small fermentation bins for fourteen days and allowed the complexity to evolve. The caps were hand punched twice a day with vigorous agitation. Because of the tannin structure this wine will lie down and age nicely, softening and getting better each year. 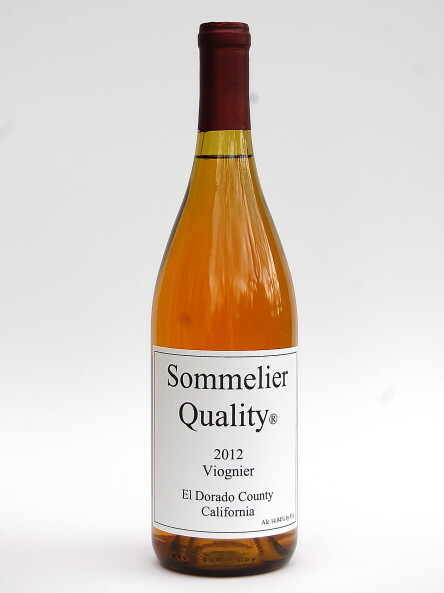 The 2012 Viognier will pair with foods with a rich texture, particularly seafood dishes like lobster, crab and muscles. Being such an exotic wine, it naturally pairs well with exotic foods, especially curried dishes. Thai, Indian, Malaysian and even Caribbean curried dishes are excellent with this wine and a Massaged Kale with Mango salad. The exotic tropical fruit flavors are enhanced when paired with fruit dishes, such as a tangy fruity barbecue sauce, mango chutney, plum sauce, or pineapple salsa. Your turkey, ham and duck that all have a sweetness to them that compliments this wine will be enjoyed on a different level. Cooked root vegetables, like turnips, carrots, squash, and sweet potatoes have the same sweetness which brings out flavors in this wine.